Helping Scottish firms to manufacture, compete in global markets and increase their exports is a key aim for the UK Government and one which will help the economy stabilise and grow, the Secretary of State for Scotland said today. 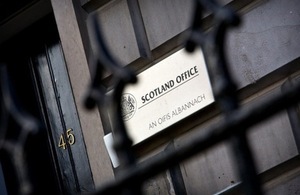 Helping Scottish firms to manufacture, compete in global markets and increase their exports is a key aim for the UK Government and one which will help the economy stabilise and grow, the Secretary of State for Scotland said today (Wednesday 30 May). Michael Moore continued his tour of Scottish businesses with a visit to Falkirk-based Alexander Dennis Limited (ADL), the UK’s Britain’s biggest bus and coach manufacturer and the biggest British-owned company in the country’s automotive sector. This week, the Minister has been visiting firms across Scotland to hear about the issues facing firms and talking about the steps the UK Government is taking to support business and rebalance the economy. The visit highlights the role of the automotive industry in the UK, a sector which leads in many areas of manufacturing and provides 135,000 direct jobs and contributes around £10 billion to the UK economy. More than 40 companies manufacture vehicles in the UK - ranging from global car makers, van, truck and bus builders, to specialist firms. In addition, eight out of the 12 Formula 1 teams are based in the UK. The UK’s “Motorsport Valley” employs over 25,000 world-class engineers, while more than 15 universities offer motorsport engineering and management degrees. Alexander Dennis Limited is a world leader in the development and manufacture of lightweight, fuel efficient, environment-friendly buses and its vehicles form the backbone of double deck fleets across the world. It is also Europe’s leading supplier of low-carbon hybrid electric buses and has three principal manufacturing sites in the UK - its HQ facility in Falkirk; at Scarborough in North Yorkshire; and at Guildford, in Surrey. “I have been impressed by the scope, innovation and diversity of the businesses I have met so far this week. Scotland has a huge range of skills and experience to draw from and our ability to find new markets both at home and abroad. “Companies such as Alexander Dennis Ltd are a great example of a firm making the most of having facilities across the UK to support its domestic and international trade. That supports 2000 jobs directly and 5000 indirectly and is helping the economy grow at the same time.